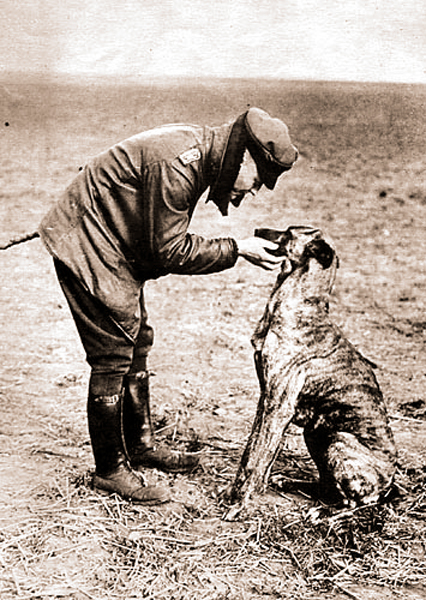 This post is a sort of addenda to my last article, Red Baron Down, to show another side of life for Manfred von Richthofen – the precious relationship he enjoyed with his Danish hound Moritz. Apart from the footnote, it comes directly from von Richthofen’s The Red Battle Flyer. 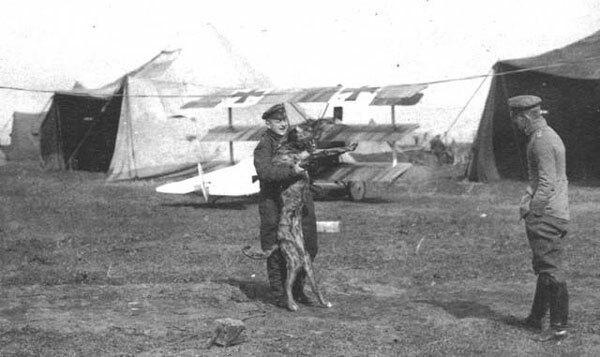 von Richthofen and Moritz, playing in front of a Jasta 11 Dr.1 at Awoingt, France, in March 1918. Ltn. Erich Lowenhardt looks on. The most beautiful being in all creation is the genuine Danish hound, my little lap-dog, my Moritz. I bought him in Ostend from a brave Belgian for five marks. His mother was a beautiful animal and one of his fathers also was pure-bred. I am convinced of that. I could select one of the litter and I chose the prettiest. Zeumer† took another puppy and called it Max. However Max came to a sudden end; he was run over by a motor car. Moritz flourished exceedingly. He slept with me in my bed and received a most excellent education. He never left me while I was in Ostend and obtained my entire affection. Month by month Moritz grew, and gradually my tender little lap-dog became a colossal, big beast. von Richtofen and his beloved Moritz, from ‘Der rote Kampfflieger’. He has a silly peculiarity. He likes to accompany the flying machines at the start. Frequently the normal death of a flying-man’s dog is death from the propeller. One day he rushed in front of a flying-machine which had been started. The aeroplane caught him up and a beautiful propeller was smashed to bits. Moritz howled terribly and a measure which I had hitherto omitted was taken. I had always refused to have his ears cut. One of his ears was cut off by the propeller. A long ear and a short ear do not go well together. Moritz has taken a very sensible view of the world-war and of our enemies. When in the summer of 1916 he saw for the first time Russian natives—the train had stopped and Moritz was being taken for a walk—he chased the Russian crowd with loud barking. He has no great opinion of Frenchmen although he is, after all, a Belgian. Once, when I had settled in new quarters, I ordered the people to clean the house. When I came back in the evening nothing had been done. I got angry and asked the Frenchman to come and see me. When he opened the door Moritz greeted him rather brusquely. Immediately I understood why no cleaning had been done. † Ltn. Georg Zeumer (March 7th, 1890 – June 17th, 1917) was von Richtofen’s pilot during the latter’s days as an observer with Feldfliegerabteilung (FFA) 69, based at Ostend (and later Champagne), operating the AEG G.II bomber. The pair lived, flew and fought alongside each other from August 21st through into winter 1915. 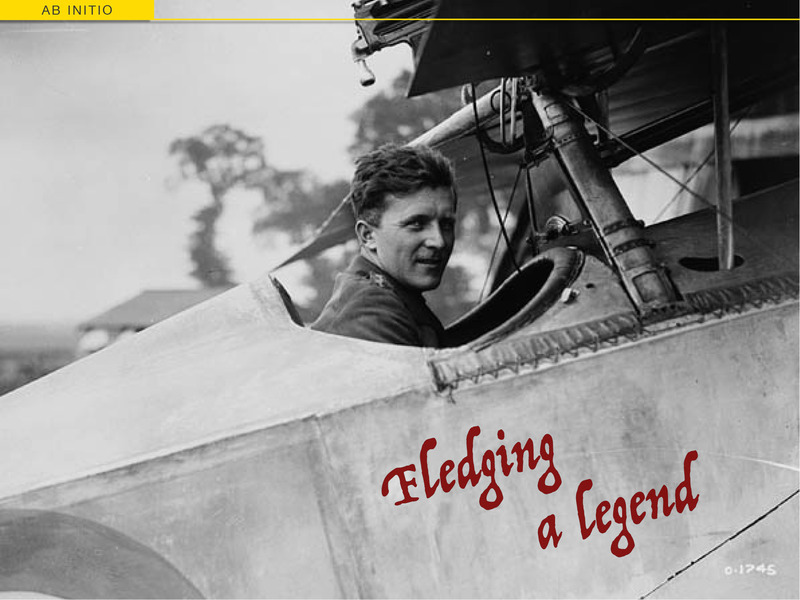 It was Zeumer who taught von Richthofen to fly. Afflicted with tuberculosis, Zeumer was reputedly after a somewhat faster death. 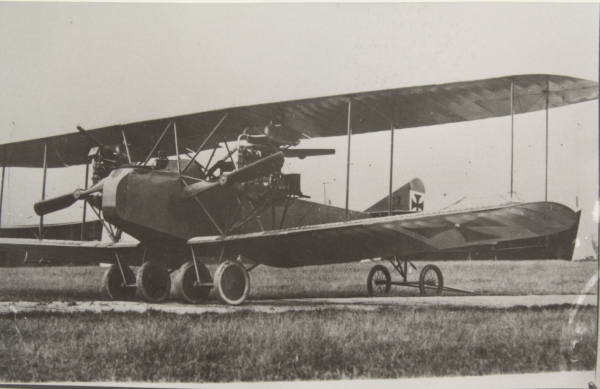 He found it as a fighter pilot with Jasta Boelcke, in (most likely) an Albatros D.III. The victory was credited to Douglas and Houghton, an R.E.8 reconnaissance CREW from 59 Squadron RFC. A fascinating insight into the man. Yes. It’s definitely Prussian, but he had quite a sense of humour that history doesn’t really mention. Did you ever know about the Red Barron’s dog? See story and photos below. I knew he grew up a hunter in Germany and that helped him become a flying ace. He knew how to look for prey and what to do once it was spotted.